The Sacramento Kings are ready to make another coaching change. After engineering their most successful season since 2005-06 — their 39 wins this season were the franchise’s most since 2006 — Dave Joerger was fired by general manager Vlade Divac during a face-to-face meeting on Thursday, according to Adrian Wojnarowski of ESPN. Shortly after that report, Divac released a statement concerning why the franchise relieved Joerger of his duties, via the Kings’ official website. The Kings missed the playoffs this season after entering the 2018-19 campaign with low expectations. Many had them pegged to be one of the worst teams in the NBA, but Joerger managed to exceed all expectations by leading a young Kings squad to their best season in 13 years. The move is a bit puzzling considering Sacramento finished in ninth place in a tough Western Conference. Furthermore, they have one of the best young cores in the NBA in rising franchise star De’Aaron Fox, leading scorer Buddy Hield and promising rookie Marvin Bagley III. However, Wojnarowski further notes that Divac is consolidating power around himself. The former Kings center is on the verge of receiving a contract extension as the team’s general manager and is actually looking at Los Angeles Lakers‘ Luke Walton to fill the head-coaching void. Many expect Walton to be fired by the Lakers after they missed out on the playoffs in LeBron James‘ first season with the franchise. Former NBA head coach Monty Williams and San Antonio Spurs assistant Ettore Messina are also expected to be candidates, according to Sam Amick of The Athletic. Joerger has had a rough go of things as a head coach in the NBA. After leading the Memphis Grizzlies to playoff appearances in all three of his seasons there, he was still fired at the conclusion of the 2015-16 season — with one year left on his contract. In three years as the Kings head coach, Joerger compiled a record of 98-148. 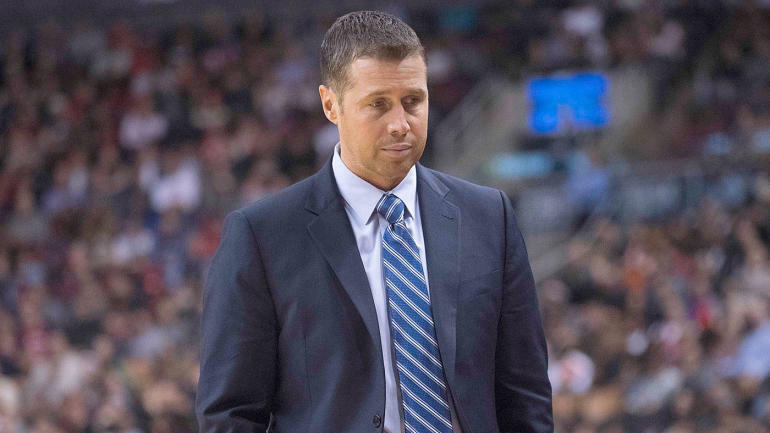 In six seasons as a head coach, Joerger holds an overall record of 245-247.